There are many sorts of Rolling Stones fans, but all of them will love this book. Mr. Janovitz himself is a musician, of the terrific band Buffalo Tom (if you haven’t heard “Sunflower Suit” or “Taillights Fade,” do so immediately). He is also a musical historian of the Rolling Stones: His previous book was a biography of the band’s seminal 1972 album, “Exile on Main Street.” “Rocks Off” is an intense pleasure—a series of love letters plus a few notes of despair—and almost as good as the music it celebrates. © Bettmann/CORBIS Letting it Bleed The Rolling Stones in the band’s late-1970s incarnation. Mr. Janovitz starts with a short reprise of how Keith Richards and Mick Jagger, schoolboy friends, bumped into each other at a train station in 1961. What turned the chance encounter into legend was the stack of Chess-label records—rare blues imported from America—that Mr. Jagger was carrying. Mr. Richards was a fellow blues aficionado, and a casual hello turned into an energetic discussion and a later meeting to play music together. The other members of the band gradually fell into place: a graphic artist with a steady job, Charlie Watts, became the drummer; a former RAF pilot, Bill Wyman, played bass; and a magnetic young musical prodigy named Brian Jones did everything else. The band began performing American R&B songs to ever-growing crowds. 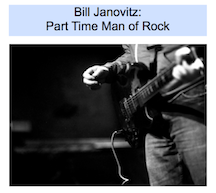 Mr. Janovitz opened my mind about some songs. I’d long dismissed “Jumpin’ Jack Flash” as an uninteresting staple of classic-rock radio, but Mr. Janovitz puts the song in perspective. For the band, it was a change in style from the psychedelia they had attempted on a previous album; “Jumpin’ Jack Flash” ushered in a new era for the band, and Mr. Jagger and Mr. Richards began writing songs that reflected the violence of the era. As Mr. Janovitz sees it, Martha and the Vandellas opened the 1960s with “Dancin’ in the Streets.” The Stones staggered out the end with “Street Fighting Man” (1968). For the band, the sickness of the times was reflected in the death of Brian Jones, at age 27, in 1969. The Mick Taylor era began with the masterpiece “Gimme Shelter,” the first song on “Let It Bleed” (1969) and the emotional center of Mr. Janovitz’s chronicle. Mr. Richards wrote the song in London during a rainstorm. His partner, model Anita Pallenberg, was shooting a film with Mr. Jagger, and Mr. Richards assumed the two were having an affair. The specter of Vietnam and Mr. Richards’s growing heroin dependency gave the lyrics a very real desperation. The Stones began recording the song in London but headed to Los Angeles to nail a certain sound. They called Merry Clayton, a backup singer for Ray Charles, and the results were chilling, “with an otherworldly timbre even before her voice cracks (at3:01),” as Mr. Janovitz writes. This section of the book captures the chaos of the times and the coming horror of Altamont, a free concert held at the California Speedway because, as Mr. Jagger explained at the time, the band wanted to create “an example to America as to how to behave in large gatherings.” The show ended with the Hells Angels stabbing to death a gun-wielding audience member. The rest of the book is just as rich. 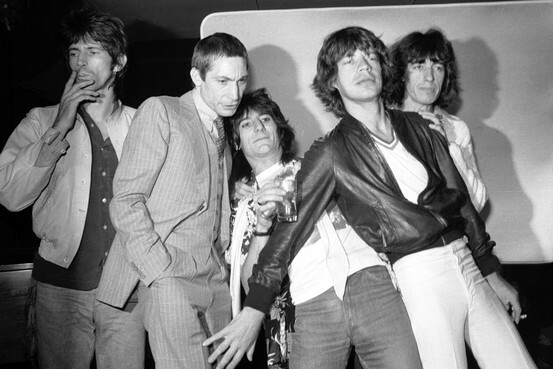 Mr. Jagger wrote the lyrics to “Brown Sugar” (1971) in 45 minutes. Marianne Faithfull and Anita Pallenberg helped provide the backing “oohs-oohs” in “Sympathy for the Devil” (1968). Most Stones fans will be shocked that a heroin-addled Mr. Richards doesn’t play guitar on “Sway” (1971). Even more shocking is that staid Charlie Watts became a heroin addict in the mid-1980s. —Mr. Kurson is the editor of the New York Observer. A version of this article appeared September 14, 2013, on page C9 in the U.S. edition of The Wall Street Journal, with the headline: Street Fighting Band.